This was the scene outside Transport for London, HQ in south London on Friday, November 29th and I have to say it was pretty cold on the floor. 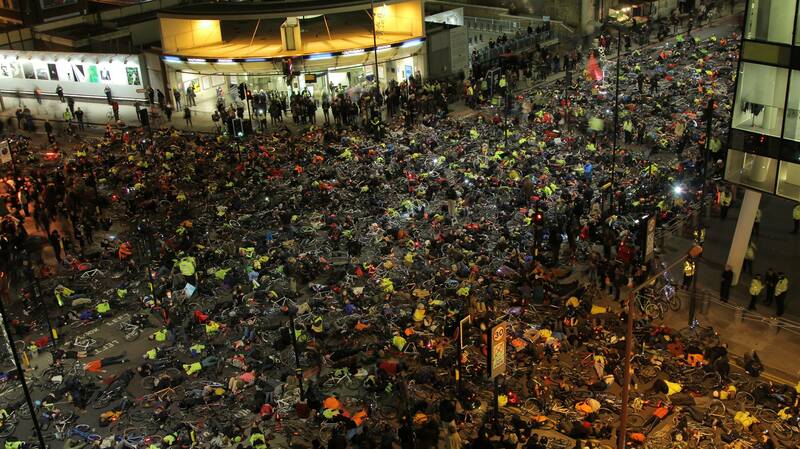 The 15-minute “die in” was part of the Stop Killing Cyclists protest which comes after six cyclists and seven pedestrians were killed in the London this month. However, this was only one part of the evening which started with a 30 minute vigil for those that had died accompanied by a cellist as people lit candles. Later, the names of the dead were read out and we heard from a mother, Nazan Fennell, who had lost her 13 year old daughter after a truck crushed her at a pedestrian crossing. The driver had been using his mobile phone and tried to cover this up by deleting texts. He was jailed for only 6 months. Take a few minutes to listen to her story in the video below. We also heard from Tom Kearney who somehow survived being hit and crushed under bus on Oxford Street, which left him with punctured lungs and in a near death coma for a month. He is one of over 2000 people that have been killed or seriously injured by buses alone in London since 2008. At the end of the evening, a list of requirements were handed over to TfL Surface Transport’s managing director Leon Daniels. Yet, while all this was going on the Metropolitan Police continue to harass cyclists in Operation Safeway. This operation seeks to blame the victims, rather than address the cause which is that buses and lorries are over represented in the number of deaths they cause on our roads. In November alone the cycling and pedestrian fatalities involved six lorries, four buses, a coach and two cars. Independent statistics show that motor vehicles are responsible for 68% of accidents involving a bike. Cyclists are responsible only 20% of the time – the remaining 12% being shared or no blame. 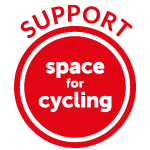 Caroline Russell sums the issue up very well in The Huffington Post, there is an asymmetry between power and risk when it comes to motor vehicles and cyclists or pedestrians. The thing is that the discussions about red light jumping, no lights, hi-viz and helmets are not the issue. Those killed in the last month were not jumping lights and a helmet is not going to stop 20 tonnes of truck from crushing you. The issue is that all people are at risk from the dangers of the vehicles we see on the roads and the way people drive. Speed limits are routinely broken by everyone. Many cars and lorries are unroadworthy. The culture in this country is that the car is the right and only way to travel but it is destroying our cities, making them less enjoyable to live in and wrecking thousands of lives every year. We all have a responsibility to be safe on the roads (yes, cyclists and pedestrians too) but if you are sat in a huge mechanical box that weighs anything over a tonne, you have much more responsibility, as your actions will impact those around you more than yourself. 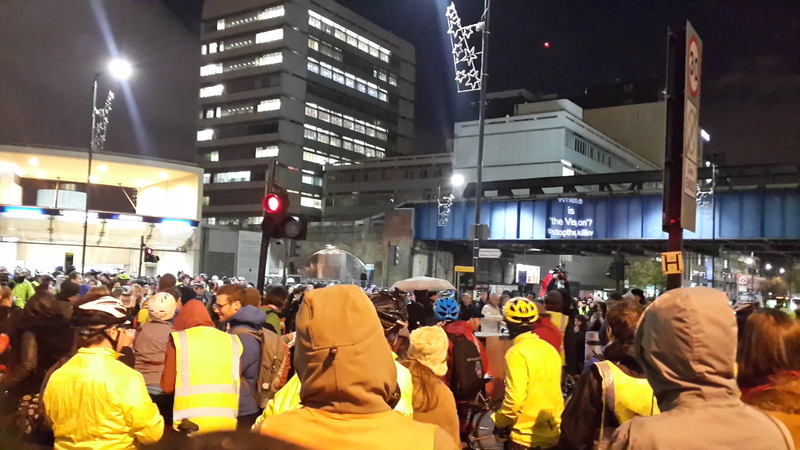 Watch the rest of the speeches from #TfLDieIn here.